I'd like to say I don't know why I got this book, but I do. In fiction, things like human traffic, slavery, and abuse can work for me in a story. In nonfiction, it's completely different thing. This book was depressing. Joyless. Not surprising, since it was about what was basically modern day slavery. But still, it was not a book I enjoyed reading at all. I wanted to stop reading it multiple times, but pushed through to the end. It told the story of a young girl taken from her village by the China government. 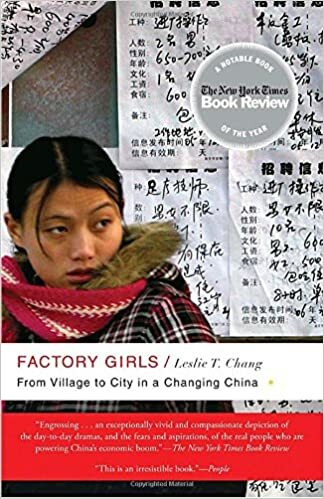 Apparently this is a practice in China to this day -- take rural girls and 'sell' them to factories in the cities. The girl was Muslim, and often times they would feed them only pork. They hit them. They made them work 18 hour days. They sexually abused them. I did learn something from the book, I hadn't known this government-sanctioned human traffic practice existed. Still, I did not enjoy reading Factory Girl at all. Know those SyFy movies that are so bad they're actually entertaining? That was this book. A kid (high school age) is given a farm by his uncle, and the farmhouse just happens to have a portal to another world in it, an earlier version of Earth from around prehistoric times. The kid brings in his other high school friends, and they bring animals to this world and sell them for hundreds of thousands to zoos. To give this book credit, it was entertaining enough that I almost continued reading it. I liked seeing the prehistoric world, but the kids successfully blackmailing all the world's most successful and biggest zoos into paying them hundreds of thousands of dollars, without the government knowing what they were doing or where the prehistoric animals were coming from... I just couldn't get passed that. Abandoned at the 17% point. This book doesn't exist on Amazon, the above link goes to Smashwords. That should be all I need to say in this review... But the (technical) writing was surprisingly okay. The plot/world logic, on the other hand... Giant honking plot holes. 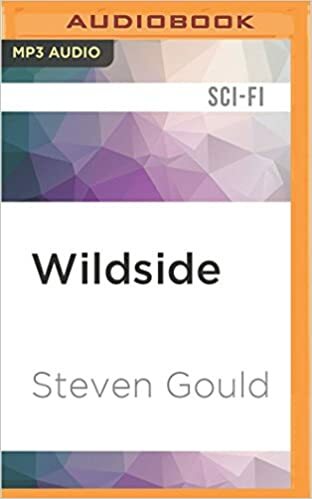 Like early in the book he says the alien is 130 years old, which is a young adult in their species, but a couple chapters later supposedly this same alien race is short-lived and only lives a fraction of the time humans do. But that's putting the cart before the horse. The plot was not very logical at all. On some planet where humans and aliens work together, a human gets into an accident in a lab: something falls on him and destroys almost every organ in his body. To save him, they hook him up to an alien -- they let the alien's organs run the man's body. The whole thing just made so little sense. Abandoned at the 26% point.